I'm obsessed with gym gear and can't stop buying it. Partly because my laundry situation is a disaster at home and I can never get it turned around fast enough but also because it's hard work pounding the streets and going to the gym on these cold winter days and nights so it makes it so much easier if you've a nice new pair of leggings or vest to wear. Now I've mixed views on buying gym gear in terms of budget vs branded. Generally speaking I think if you're a outdoor runner, leggings are worth spending more on but tops/vests and fleeces are not. If you're just going to the gym or doing a class indoors, you can mostly get away with unbranded items. But when it comes to footwear - don't even think about going cheap. A complete false economy in so many ways. Invest in the best pair you can and if you're doing any kind of running - even if you're just starting the C25K, always, always, always get your gait checked in a good sports shop...I go to Sportique in Magherafelt...chain store sports shops offer the service but they're not as good and you will just end up buying ££ trainers that aren't quite right. 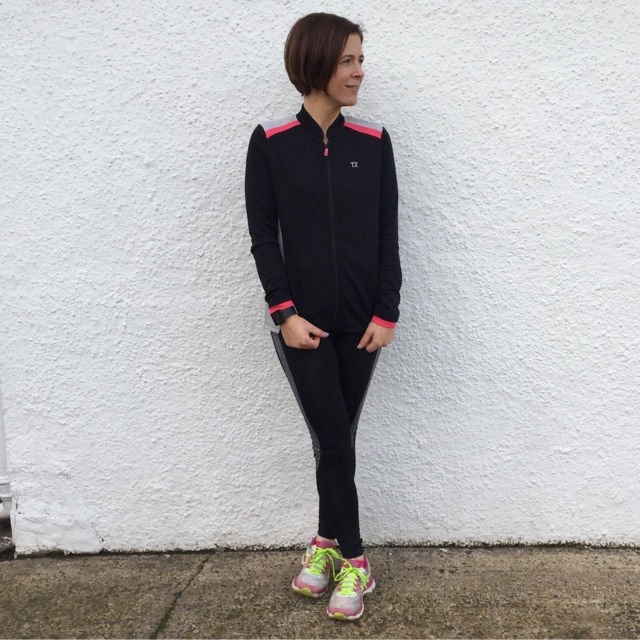 But back to clothing and every now and again, I'll come across a decent budget brand for gym gear and that's what this post is all about. The team at M&Co offered to send me some of their new range to try out at the gym and on a few runs. The range is called Training Zone and you can see it all and read about it on this link. First impressions were good...it all looks great and there's not too much scary branding or mad patterns on any of it - a big tick from me! 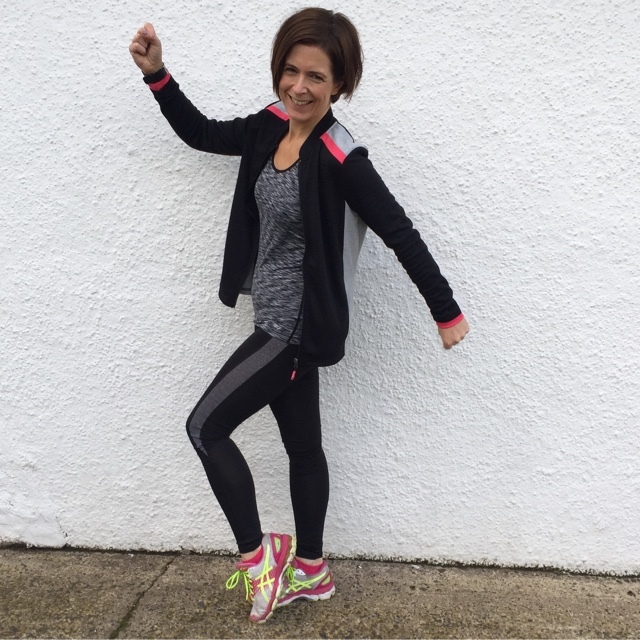 The leggings & vest were both size 10's and fitted me perfectly. The vest is a neat fit one - not a baggy one but not super tight so I would be confident to wear it with the leggings for a gym class. The leggings are probably my favourite - definitely up there with the best of the less expensive brands. I'll need to update this post once I've washed them a few times but they're good and opaque, not too shiny, hold well to the body, are good and high waisted and don't need pulled up at all during workouts. Really impressive for £20! The zipped top was a little on the big side for me, even though it's only a 10. I'd definitely be sizing down in it to an 8. But actually, I have quite a few tighter tops and so it's nice to have one that I can add a layer underneath for running on a colder evening. As well as these three items, M&Co sent me a running bottle and some socks too - the latter was seriously needed as I struggle to keep the sports socks moving through the laundry system....mostly because I wear them with ankle boots but also because my son borrows them from me regularly at the moment as his feet aren't much bigger than mine. The verdict so far? Well, the whole outfit did an intense kettlebell HIIT class last week and aced it. No legging readjustment needed and the vest didn't ride up or get clingy. Like I said above, I'll update this post when I've washed and worn the leggings a bit more but overall, I'm impressed and I know I'll wear these pieces on repeat for the foreseeable. I think the prices are competitive and I'd definitely buy again from the range based on what I've been sent. The full M&Co Training Zone range is available on this link and there's a free water bottle for all orders over £25. Disclaimer - I was gifted these items for the purpose of the review. I wasn't paid to write this post and all the words are my own. Thanks for supporting the brands that support this blog.